Equip your new iPhone 7 Plus with a robust and bulk-free high-tech one-piece armor. 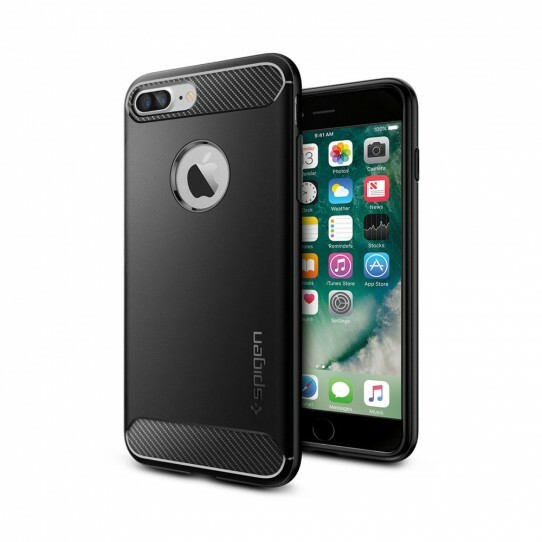 The Rugged Armor is an exclusively crafted sleek black TPU shell with textured carbon fiber accents. Spigen’s newly designed Rugged Armor for iPhone 7 Plus comes with an opening to display Apple’s original logo and also with improved button responsiveness. The inside of the case is lined with a spider web pattern and Air Cushion Technology on all corners to ensure shock-absorption against every impact.